We've recently seen this aqua blue shade, when Google teased it as a possible option for the upcoming Pixel 3. It sits somewhere between light blue, aqua, and mint, and looks understated but elegant and minimalistic. The shade would fit well in modern white-centric living rooms, adding a touch of pastel color without being too harsh or eye-catching. But aside from the change in color, there's nothing functionally different under the hood. The Aqua color will start shipping on October 29 from the Google Store and Walmart. 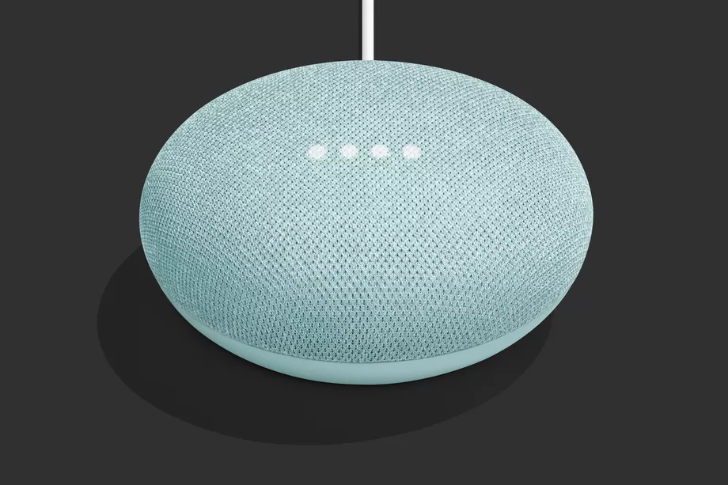 The three other Home Mini colors will still be available, which tells us that Google's smallest smart speaker is almost certainly not getting a refresh next week. Well, October 29 has since come and gone ... so where is the new aqua Home Mini? We reached out to Google to check. For smart home fans living in the US, the answer is: not here — at least, not yet. If you're in Canada, the UK, or Japan, you can already order the aqua Home Mini direct from the Google Store, but US shoppers will have to wait until sometime next month before they can do the same. In the meantime, you should be able to find one at Walmart, but slightly behind schedule — the retailer's now on track to start aqua Home Mini sales on October 31.